I wasn't previously aware of the Sainsbury's Beer Competition until chancing upon a shelf of it (miles from the other bottled beers) in the newly redeveloped Springfield Sainsburys with TCMJ yesterday. But all of this is just warm-up for the most exciting discovery on the shelf. I like my darker beers so was naturally attracted to a stout. 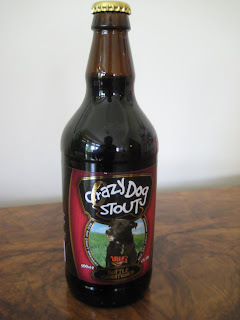 And it had a picture of a dog on it, for it was Crazy Dog Stout. I'm also always keen to support the local brewers, and this came from just neighbouring Suffolk. It would have gone in the basket at this point. 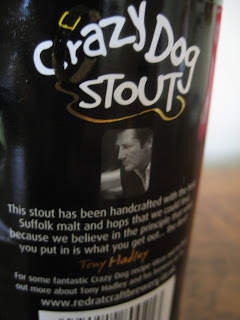 But the icing on the cake: it is brewed by TONY HADLEY OUT OF THE SPANDAU BALLET. Hadley's picked up four awards from the Campaign for Real Ale in as many weeks, including two golds: champion bitter at Colchester Beer Festival and best beer under 5% at the East Anglian Beer Festival. In August the brewery is in Sainsbury's beer competition finals and Crazy Dog Stout will be on sale nationally in its main stores. Mr Hadley's beer goes under the Jackson taste test tonight. When's the "Gold" golden ale out? And what next - Limahl's Lager? 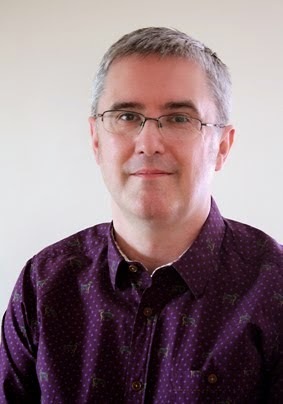 Well, after having been plugged on t'wireless, I suppose I should probably get my bottom off the barstool and post something new rather than lazily just putting photos on Facebook. Actually, if you want regular posts, go to see that nice Mr Stonch. If you want irregular ramblings, you've come to the right place. For new readers, two of our irregular contributors, Nick Nobacon and Julian the Money Monkey somehow ended up on national BBC Radio together, and decided it would be a wizard wheeze to give the licence fee payers a review of some bottles of beer. And of course, this would involve mention of the pub guide. Trebles all round, as they say in the TVC Bar! As I never tune my radio dial anywhere other than Brentwood and Billericay's Phoenix FM, I only heard about this when we met Julian at the annual Great British Beer Festival. Now, my excuse for the lack of updates is that I am actually having to do some work for once. I missed the Chelmsford Beer Festival through pressure of work, and was nervous that the GBBF would go the same way. But thankfully, things came together and I scraped along on the Friday afternoon. And thereby hangs the conumdrum of GBBF (and indeed any good pub). I am REALLY honestly genuinely pleased that there are now so many people who appreciate a good pint that they want to pay £10 on the door (plus £1 for a programme and a refundable £3 for a pint glass) to come to the Festival. But I just wish they wouldn't all stand at the bar when I want to get a pint. I guess unsurprisingly for 6pm Friday, it was very, very busy. Hahaha. Anyway, we had some nice beers. TCMJ had two Manchester beers: Chocolate Cherry Mild from Dunham Massey in Manchester, which tasted of Cherry Cola, and Ginger Marble, which was a very gingery beer! These came from the UnusuALE bar. See what they've done there? Meanwhile, I kept the Essex end up with a Stoneley Bitter from the new Shalford Brewery; and also had some of the third placed Champion Beer of Britain, Wickwar's Station Porter (which I'd coincidentally bought a bottle of from the real ale shop near Oxford Airport only the week before!). Julian and Kim did very well supporting the fine English tradition of ciders and perries.